Building a strong community in Ariel means investing in different facets of life for residents of all age groups. We are honored to support Ariel’s leading recreation centers for our most seasoned residents. 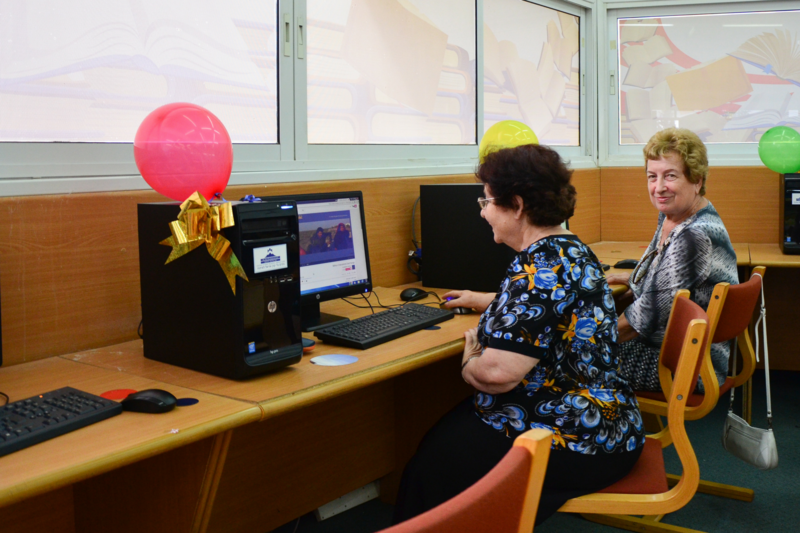 The “Emtza HaDerech” clubhouse caters to Ariel’s seniors with year-round programming. Members gather in the city center in the mornings, participate in communal volunteer initiatives on weekdays, and meet at the clubhouse for weekly planning and enrichment sessions. The “Warm Heart” clubhouse caters specifically to Ariel’s many residents from the Former Soviet Union (FSU) and conducts most of its programming in Russian. Much of their programming has a specific focus – the musical and visual arts – with its most famous project being the “Song of the Heart” Senior Choir. Each of these settings is our way of giving back to those who have given so much to Ariel for so long. It’s important to be there for them – whether that’s for new equipment, small renovations, or a hand with programming when needed.